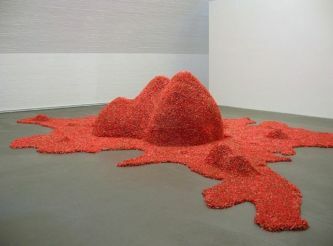 The exhibition, entitled "The Body that Carries", included 50 sculptures created in the period from 1990 to the present time. Some works of art have been specially prepared for the master exhibitions to highlight the amazing architectural forms of the museum, which was designed by architect Frank Gehry. 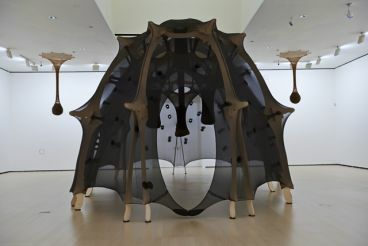 Ernesto Neto became famous for his organic works of lung elastic materials. 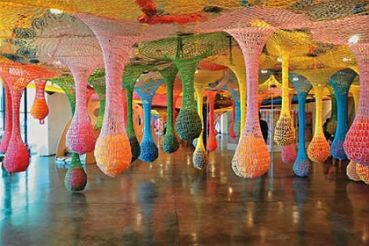 Many of them are filled with fragrant substances, so they hang and resemble the shape of water droplets. Individual sculptures he creates using soft materials and gigantic proportions, so that visitors could touch them and be "inside" exposure. 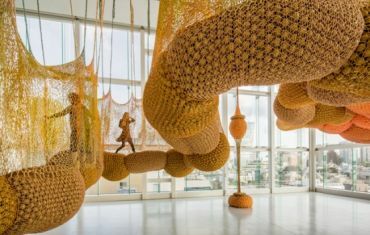 Ernesto Neto is rightly considered one of the leaders of the contemporary art scene in Brazil and now with his talent, colossal difficulty you will find and visit the Basque Country until May 18 this year.